pseudoparanormal: Bermuda Triangle......Paranormal or Normal? 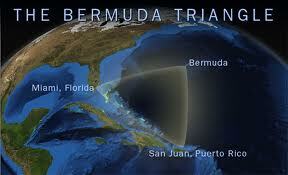 The Bermuda Triangle, also known as the Devil's Triangle, is a region in the western part of the North Atlantic Ocean where a number of aircraft and ships are said to have disappeared under what some people consider mysterious conditions. The question is whether these incidents are paranormal or just plain normal? The boundaries of the triangle cover the Straits of Florida, the Bahamas and the entire Caribbean island area and the Atlantic east to the Azores. At first glance many of the incidents in the Bermuda Triangle appear to have no logical explanation. Authorities on this subject say much of the information given for these incidents are inaccurately reported, embellished and sometimes completely false. People may do such things to add to the mystery and mystique of the triangle. There are plenty of reports of horrible losses in the Bermuda Triangle, one of the more famous of these incidents is "Flight 19". 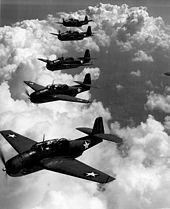 Flight 19 is the loss of five Navy TBM Avenger torpedo bomber airplanes on December 5, 1945.This is a photo of five US Navy Avengers similar to the planes flown on Flight 19. Some of the assumptions about the disappearance of Flight 19 include the possible capture by extraterrestrials, government cover-ups, and even invisible time warps. My point of view on the majority of the incidents that have taken place in the Bermuda Triangle is that almost all of them can be attributed to something paranormal or something normal. It really is up to each person's interpretation of the events that took place in each individual incident. In high school, I had to do a project about this place. It is so hard because no one knows the truth. I believe that if it is true, then its awesome. There are so many things that "disappeared" around that area its ridiculous. I still love hearing new stories about the Triangle. Oh and the really really long movie is great, long but really good..